Netflix‘s Godzilla: City on the Edge of Battle (2018) post-credits scene may have left you wondering but here is a slick video revealing what it all means. I am not going to reveal anything here, but this short 3-minute video does just that, it explains the Godzilla: City on the Edge of Battle (2018) post-credits scene. Tell us what you think about this video and the new Netflix animated Godzilla film. 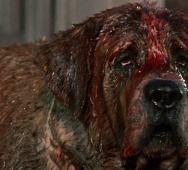 Director Lewis Teague brought us Stephen King‘s Cujo (1983) and became one of the best dog horror movies for horror fans to watch. This video is a little under 14-minutes long and is very entertaining. Watch as Dead Meat breaks down the various death movie scenes with the final kill count reveal at the end. The sequel to Unfriended (2014), director Stephen Susco‘s Unfriended: Dark Web (2018) continues the story with the laptop from the first film acting as the focal point for this new movie. Everyone who came in contact with the laptop is now victims of the previous owners. This video explains the critical movie elements and the ending explanation for Unfriended: Dark Web (2018) in under 13-minutes. Directed by Greg McLean and written by James Gunn, The Belko Experiment (2016) is one of my favorite action horror thriller films to date. This video details the kill scenes along with some excellent film commentary. This video is 18-minutes long and well worth watching since it has so many bonus features for The Belko Experiment (2016). Christopher Landon directed Happy Death Day (2017) which was a surprise hit with horror fans giving us a Groundhog Day (1993) horror/slasher killer film. 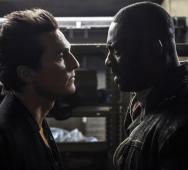 The film played out very well and made a lot of money for Blumhouse Productions, no surprise that a sequel scheduled. This video will show the death scene clips and provide some informative commentary for the film. This video is a bit under 18-minutes long. Looking back to the original My Bloody Valentine (1981) film, here is the kill count video showing the kill scenes from My Bloody Valentine (1981). Even if you already watched this film, this video is a terrific recap of the crucial events in the movie. This video is a little under 16-minutes long showing a good bit of the gory clip scenes from the film. Bryan Bertino‘s The Strangers (2008) is a home invasion horror thriller that is a must see for all horror fans and most movie fans. Netflix currently has The Strangers streaming on their service so make sure you take advantage of that and rewatch this movie if you need a recap. This kill count video for The Strangers (2008) is a little over 12-minutes long and very entertaining. 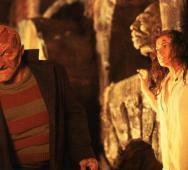 Horror master Wes Craven came back to the Freddy Krueger Universe to write and direct New Nightmare (1994) where he created a world where Freddy Krueger was able to break out of the dream world on his own. 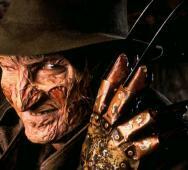 Wes Craven rebooted the Nightmare on Elm Street franchise, but many horror fans did not take to the new version of Freddy, I know I did not. Watch this video that is a little under 17-minutes long and includes the New Nightmare (1994) kill count and the movies’ kill scene clips. 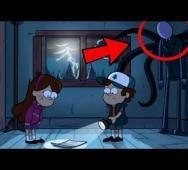 Here are a few Slenderman appearances in popular kids shows that are the most notable. These Slenderman kids episodes referenced here in this video are fun to watch the clips and possibly watch with the little people. This video is a little over 10-minutes long, but you will enjoy the trip down memory lane. The X-Files TV series was one of my favorite TV shows when I was growing up, and I especially loved the self-contained episodes of strangeness. Here is a list of the real terrifying events that inspired the X-Files. Hope you enjoy this 14-minute video detailing such real-life events along with the episodes that they reference. Oddly enough, this video references many of my most memorable episodes from the X-Files series. Many kids from the 80’s and 90’s may have watched the kid’s horror TV series titled “Are You Afraid of the Dark.” The Are You Afraid of the Dark TV series lasted from 1992-2000 with 91 episodes in total. 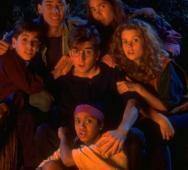 Whether you are looking to introduce the series to a new generation or relive the fun, here is a list of the Top 10 Are You Afraid of the Dark Episodes. 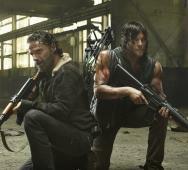 The video below includes clips from each episode. I added the episode top list below the video with a brief description for each. Here are the least scary horror movies listed in a countdown to the least scariest movie. I have to admit that even though these films are not frightening, many of these films are my guilty pleasures and I still watch them from time to time. Such movies include Resident Evil (2002), Leprechaun (1993), and The Happening (2008); don't judge me. Some really awful horror movies like Jason X (2001), One Missed Call (2008), and The Wicker Man (2006) are also listed here. After the video below are the movie details and trailers for each movie if you need a refresher. Here are a 5 scary movies to watch on Netflix this weekend. I love binging horror movies on Netflix every weekend, and this is my current watchlist films for this weekend that I thought I would share with you all. We have our scary cabin in the woods style movie in The Ritual (2017); demon movies with Veronica (2017), The Exorcism of Emily Rose (2005), and The Conjuring (2013). Capping off the list is Ed Gein: The Butcher of Plainfield (2007) based on the serial killer Ed Gein who inspired films such as Psycho (1960) with Norman Bates and The Texas Chainsaw Massacre (1974) with Leatherface. 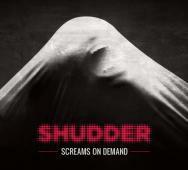 Enjoy and happy horror movie streaming! Director James DeMonaco‘s The Purge: Anarchy (2014) was a film that I really enjoyed watching. I came across this video of The Purge: Anarchy (2014) Kill Count and had to share it. YouTuber Dead Meat does a fantastic job putting these videos together with clips of each movie kill too. 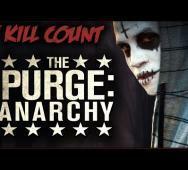 This video is about 18-minutes long but make sure you stick/skip to the end where The Purge: Anarchy kill count is revealed. Netflix is my goto place for streaming movies so here is a film list of the top weird movies on Netflix to watch right now. These top 10 weird movies to stream on Netflix will get under your skin but I still suitable for most audiences to see. As far as children’s movies, Coraline (2009) fits that category. 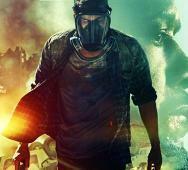 Below the video, you will find movie details and trailers for each film listed. Enjoy and happy streaming. Here is the top 5 creepiest lost videos list which was found by either police or the general public. These videos are not only creepy but rather morbid too. Consider this the warning to not watch the video if you are easily disturbed. The video contains all of the photos and clips for the creepiest lost videos that were found at a later time. Multiplayer game Fortnite is killing it, and you know the developers dropped major treats and Easter eggs for the players to discover which include these 6 Creepiest Things Found in Fortnite. This video will show you humming ghosts found in Fortnite, weird creepy noises that sound like children laughing in the distance of the forests, glimpses of Slender Man in the forest after the storm blows through, and creepy posters that change into images of popular creepypastas are a few items featured in this video. 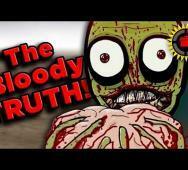 This is a film theory about the Salad Fingers 10-episode web series created by David Firth. These are 2 videos breaking down some film theories about Salad Fingers. Each video is about 15-minutes long. Here are some of the most thrilling movie angels in films. This list includes good angels, some bad angels, and a couple of instances where multiple angel performances are referenced in the same movie. 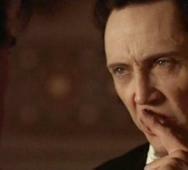 Films like The Prophecy (1995) and Constantine (2005) feature both terrific movie angel and movie devil. Below the video, you will find the full list of movie angels and their respective movie details and trailer. Enjoy and tell us your thoughts on the list below. 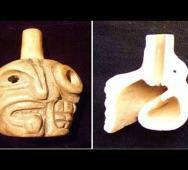 Here is a short video about the unexplained mystery concerning the Aztec Whistle. The Aztec Whistle is one of the scariest sounds you will ever hear. The Aztec Whistles release a bloodcurdling sound and are carved into grotesque looking skulls. This video is a little over 3-minutes long and provides some background on the Aztecs use for the whistles and a few examples of the Aztec Whistle. 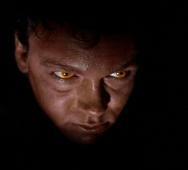 I enjoy watching exciting movie villains, and my favorites are the movie devils in horror movies. Here is a list of the best movie devils in movies. It goes without question you are going to see movie devil performances by Tim Curry, Al Pacino, Jack Nicholson, and Peter Stormare to name a few notable actors in films such as Legend (1985), The Devil’s Advocate (1997), The Witches of Eastwick (1987), and Constantine (2005) respectfully. These top movie devils listed below will have you wanting to watch these films again to see their performances, I know that is what I will be doing this week. 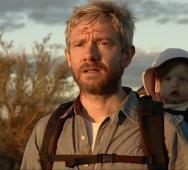 Below the video below is the full movie details and trailers for each film on this list. 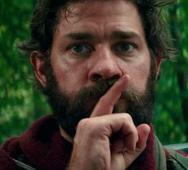 Here are the Scariest Moments from A Quiet Place (2018) that needed some highlighting. The fear of the aliens finding the family and eventually attacking them provided many thrills in this film. Director and star John Krasinski did a fantastic job executing this movie and whether you are looking to check out this A Quiet Place scariest moments highlight reel or just curious, sit back and enjoy this 3-minute video. 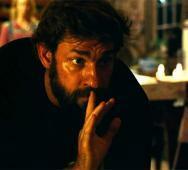 Which was your favorite frightening scene from A Quiet Place? Capcom’s Castlevania story is an epic tale spanning centuries and many games over various game consoles. Here is a quick and fun video detailing the incredible highlights from the Castlevania franchise in just under 3-minutes. I watched this video and found myself reliving some of the gameplay and having those “oh yeah” moments with some details that slipped my mind. For vampire games, Castlevania is a game series you should not miss and so is this Castlevania story video. Even horror movies can celebrate a Happy Birthday every 10 years. These horror films have aged well and watching this list; it is trippy to see that these movies are now 10 years old. Most of us know that The Strangers (2008) is now 10 years old because The Strangers: Prey at Night (2018) was released to celebrate this event. Many movie fans may not know that Let the Right One In (2008), Cloverfield (2008), and Hellboy II: The Golden Army (2008) are also now 10 years old. Iron Man (2008) also makes Marvel movies seem a little older too. 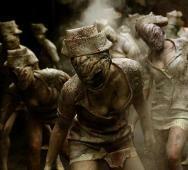 Full movie details and trailers for the horror movies listed here are below this video. 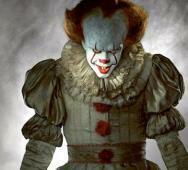 Watching the remake of Stephen King’s It (2017) and the new Pennywise the Clown played by Bill Skarsgard was fun and until we get to see the continuation here is a fun video showing us how It (2017) should have ended. No doubt It (2017) ended the right way, but these alternated endings are funny and creative. No doubt It director Andy Muschietti probably saw this video already and had a few laughs with IT too. Jason Voorhees from the Friday the 13th franchise is an iconic horror movie villain and one of the most unstoppable slashers in horror. Here is the Top 10 Brutal Jason Voorhees Kills scenes for you to watch in this fun Jason Voorhees kills compilation video that is a little over 11-minutes long. 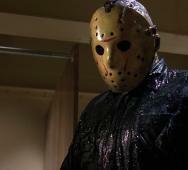 Watching these Jason Voorhees clips did bring back some early horror movie nostalgia. 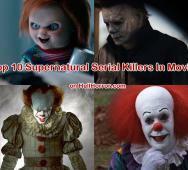 The horror movie villains listed here is a collection of the Top 10 Supernatural Serial Killers In Movies. These villains or if you like to call them monsters it is more to the truth. The list starts with Sadako from the Ringu franchise and includes horror fan favorites like Freddy Krueger, Jason Voorhees, Chucky the Doll (your friend till the end), Michael Myers, Candyman, and many more. Pinhead from Clive Barker‘s Hellraiser franchise did not make it on this list though. Imagine falling asleep on the bus and waking up to something bizarre and strange happening on what is supposed to be a very dull bus ride. This video here features the Top 15 Most Scary Videos Caught on Buses with full clips of each shocking event. This video compilation comes from Top15s is a little long at 26-minutes long. I found myself glued to the screen for most of this video’s duration so I recommend you watch it till the end. Film Theory: Yes, Frankenstein can RAISE THE DEAD!? Yes, we are in fact talking about Frankensteins Monster often referred to as Frankenstein. What would you say if I told you Frankenstein can raise the dead!? This Frankenstein film theory video will prove this fan theory to you and more in 12-minutes. 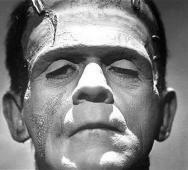 Is it too late for Hollywood to capitalize on Frankenstein’s hidden ability, possibly? That does not stop The Film Theorists from spreading this theory along with amazing ways to back it up. 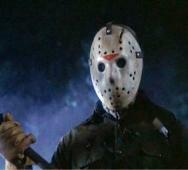 Here is a list of the most recognizable horror movie weapons of all time. These Top 10 Iconic Horror Movie Weapons will be the instantly recognized by horror fans along with the films and villains who wield them. Listed below the video below you will find the movie details and trailer for each iconic horror movie that the weapon is used and if it happens to be a franchise, then the first movie in the franchise will be listed. In the case of Friday the 13th and Jason Voorhees, I did list the first movie on purpose as a side joke for those of you in the know of Jason Voorhees appearance in that film, hahaha. These iconic weapons are featured in many more horror films, but I tried to include only the most iconic movies to keep this list manageable. Call this the Ouija (2014) fan theory or The Exorcist (1973) fan theory video, but there is no denying it, this film theory about Ouija is the Sequel to THE EXORCIST sounds convincing. Can these two films unintentionally coexist in the same universe? This horror film theory video is a little over 13-minutes long, and I recommend you give it a try because some of the film theories fit thus painting a fascinating and colorful picture. I actually watched this video twice because it was fun to play around with the idea of Ouija being the sequel to The Exorcist unofficially. This Wikipedia list features the Creepiest Pages on Wikipedia, and it is a treat for all you horror fans and mystery buffs out there. 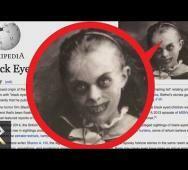 This list highlights some of the most bizarre things I have ever read on the internet going into the darker world of horror with Black-eyed Children, Shadow People, Mothman Sightings, and many more. Here is a list of the Top 10 Horror Movies Inspired By True Events with films including strange things falling from the skies, malevolent spirits attacking humans, killer sharks on the beach, killer cannibal family, poltergeist demons, and other scary events that spawned these movies. The Girl Next Door (2007) had to be the most heart-wrenching in this top list focusing on a young girl who was severely abused by her aunt and cousins. A few demon movies are on this list including The Entity (1982), The Conjuring (2013), and The Exorcist (1973). As a whole, this list includes many horror films with replay value so I know you will appreciate these movies. The A.I. robots featured in this video all have one thing in common; they have all said something sounding like robots vs. mankind. Here are the 6 scariest things A.I. robots have said that will shock you! 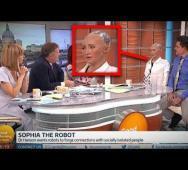 Is this the start of robots taking over the world or are some of these things said actually scripted; I think not! This video is a little over 10-minutes long but will make you start to think a bit more about that innocent looking Amazon Echo. Looking for some fresh ghost towns to visit? Here are 5 mysterious ghost towns that are haunted, abandoned, and plain creepy. The video below includes pictures, footage, and full descriptions for each ghost town in the seemingly short 14-minutes. When director James DeMonaco released The Purge (2013), it was met with mixed reviews, mostly disappointed, but was very successful at the box office. With The First Purge (2018) releasing in movie theaters on July 4, 2018; this is the perfect time to start watching kill count videos for The Purge movies. Watch as Dead Meat points out each kill in The Purge in this 16-minute video. Have you already seen Hereditary (2018) or is it still on your watchlist? 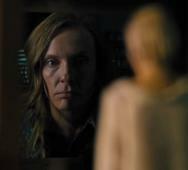 Either way, Hereditary (2018) is getting a lot of attention as the next top scariest movie since The Exorcist (1973) but no doubt about it, it is one of the scariest horror movies of 2018. This video is under 5-minutes long but highlights all reasons why Hereditary is such a scary horror movie. Watch as the reasons like the movie twists and the slow burn are explained along with the other 3 reasons why Hereditary is so scary. Here are the top 10 anticipated movie reboots which I further narrowed down to include the top 7 horror/sci-fi movie reboots. Watch the video below for all of the movie news related to the movie reboots. Below the video, you will find movie details, trailers, and more for the original movies. Horror fans should look out for the new Stephen King Pet Semetary reboot, the return of Freddy Krueger in another new Nightmare on Elm Street reboot, a new reboot for The Crow even though Corin Hardy and Jason Momoa left The Crow Reboot, and finally the Little Shop of Horrors reboot. Sci-Fi fans have the Dune reboot along with the Logan’s Run reboot to look forward to watching with the Highlander reboot somewhere in the mix. FX did a fantastic job with the last few seasons of American Horror Story, so horror fans have incredibly high expectations this year for American Horror Story Season 8. Season 8 of American Horror Story is confirmed to be a crossover of “Murder House” and “Coven.” Awesome that we are getting the crossover to include some of the earlier seasons in more than fan theories. Check out the video below which is a little under 7-minutes long. Look no further for the top upcoming horror movies of 2018 trailers. This updated list includes 8 new horror movies which I have to point out that The New Mutants (2019) is releasing in movie theaters on August 2, 2019. The remaining 7 new horror movie trailers are for films releasing this 2018 year. The Nun (2018) is my personal most anticipated new horror movie of 2018 taking place in the “Conjuring Universe” and said to be the darkest film in that universe yet. The rest of the films include Slender Man (2018), The Mermaid: Lake f the Dead (2018), The Little Stranger (2018), The House with the Clock in its Walls (2018), plus The First Purge (2018). Michael Myers in Halloween (2018) which is a long-awaited film fans have been waiting a while to see. 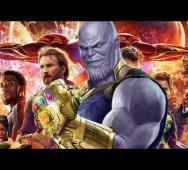 With a movie list as huge and vast as the MCU universe is right now, here is a list of the best Marvel movies ranked from worst to best. This list concludes with the inclusion of the Avengers: Infinity War (2018). Having listed the movies in the order that WhatCulture has ordered them, I mostly agree with their order from worse to best and appreciate their best Marvel movies list, and I know how hard it is to make a list like this to please so many devoted movie fans. 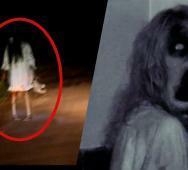 Here is a video compilation of 5 nightmare creatures caught on camera and spotted in real life. Some of the creatures spotted here in this video are better than others and well worth watching. I especially liked the video with the little girl playing on the floor before being grabbed by a demonic looking creature under her bed. This video is under 5-minutes long and was edited by YouTuber MrWolf. Here are some of the worst movies ever created with totally awesome concepts. I remember the hype surrounding each of these films listed here, and then the release proved otherwise. 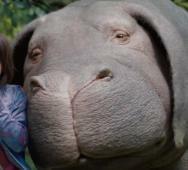 Were these movie overly exaggerated or did movie fans have too many expectations? Among the films listed below are The Purge (2013), Jennifer’s Body (2009), and Morgan (2016) amongst the other seven films. Below we listed each of the movies in ranked order along with their movie details and movie trailers. With so many movies in the Saw franchise, the Saw timeline got a little confusing. Here are two videos covering the Saw movie series timeline explanation and the origin of Jigsaw. The two videos combined are about 30-minutes long, you can add them to your YouTube queue and binge them at a later time. I watched the videos and had forgotten a few of the details, so these videos served as an excellent refresher to the series. The videos include the movie clips, so you are never lost with where the movie details are drawn. Details from Jigsaw (2017) is not included in the videos as the videos were released a few days before the Jigsaw (2017) release date. Below the two videos, you will find the movie details for Saw (2004), Saw II (2005), Saw III (2006), Saw IV (2007), Saw V (2008), Saw VI (2009), and Saw 3D: The Final Chapter (2010) along with trailers for each Saw film. 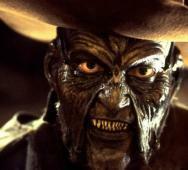 What is the Creeper from the Jeepers Creepers trilogy films is a question we all have and director/creator Victor Salva has barely scratched the surface on explaining his movie monster. The creeper is a fantastic movie monster played by Jonathan Breck; watch this creepy Jonathan Breck Creeper audition video here. Is the Creeper a demon? Is the Creeper the last of an ancient hybrid species of hunters? Is the Creeper the only being of its kind hunting humans? So many questions and this video below does its best to explain the mysterious Creeper creature including the Creeper’s history, abilities, and weapons. 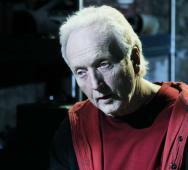 Although James Wan and Leigh Whannell were not as involved in Saw 2 (2005) as they were with the original Saw (2004) movie because of their heavy involvement in Dead Silence (2007), we still got a good Saw movie with much more Tobin Bell as Jigsaw. Here is a video detailing all the kills in Saw II (2005) with the grand total kill count at the end of the video. Saw (2004) was the brainchild of modern horror icons James Wan and Leigh Whannell with James Wan as both director and co-writer. In case you need a quick rundown refresher of the Saw movie this video is good for that and of course the kill count of Saw (2004). 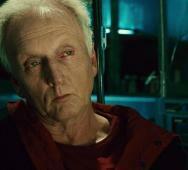 There was not much of Tobin Bell screentime in this film, but Jigsaw played his role well. After watching this video, I decided to queue Saw for this weekend to watch again. Todd McFarlane created his iconic character Spawn, and comic fans have enjoyed his tales for the past 25 years under Image Comics. Todd McFarlane is bringing us a new Spawn movie, and this list should serve well to excite all you Spawn fans out there and hopefully introduce some more info to you as well. 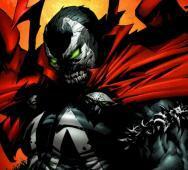 Included below are some of Spawn’s unlimited powers, crossovers, and more. Here are the best Harry Potter movies ranked from best to worst. 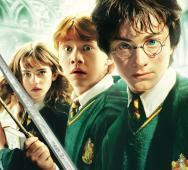 The Harry Potter franchise has spanned many years and with many highs and lows, here is an excellent ranking of the films. Where do you think Fantastic Beasts and Where to Find Them (2016) ranks on this list and the original movie Harry Potter and the Chamber of Secrets (2002)? Check out the full list below with movie details and trailers for each film. 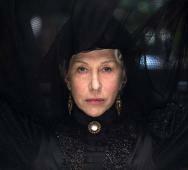 FX’s American Horror Story has been going strong giving horror fans thrills and scares over the past few years. Here is a list the most shocking American Horror Story deaths rated and ranked by shock value and/or gore. With the full feature film Venom (2018) releasing October 5, 2018; here are some fun facts about one of Marvel’s favorite anti-heroes named Venom/Eddie Brock. Venom was such a popular Spider-Man villain in the 90s creating his multiple Venom series; Marvel was forced to turn the Venom character into an anti-hero. 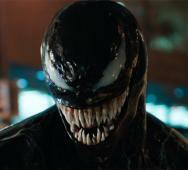 More on Marvel’s Venom and the Adi Shankar/Joe Lynch short film Venom: Truth in Journalism below. 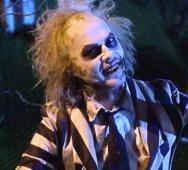 Like the many Tim Burton fans awaiting a Beetlejuice (1988) sequel or even a Beetlejuice (1988) reboot, we have nothing confirmed, but I do have this fan trailer created by Tommy Ross. Ross took many scenes and clips from various films, but he kept the central soundtrack theme song intact. Check out the full video below and tell us what you think. Ready for a chilling set of a whopping 14 scary ghosts caught on tape by YouTubers? This video compilation is created from the respective YouTuber clips and some of the videos will shock you. 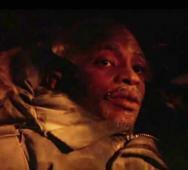 Here are 5 scare pranks that went too far and terrified the victims of these pranks. Some of the people involved in these pranks were on the brink of tears if not flat out afraid for their lives. Think about what you would do if you were in these people’s situations. 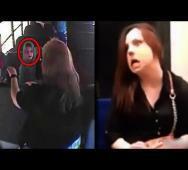 I would not blame the prank victims if they retaliated after the filming was over. The actors listed here had really traumatic and terrifying experiences while and during filming the below-listed movies. 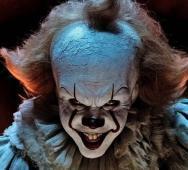 I was unaware that Bill Skarsgard had night terrors involving Pennywise the Clown haunting him. Jeffrey Dean Morgan talked about exploding light bulbs on set and a “respect the box” attitude they had during The Possession (2012) filming. James Brolin had weird situations while reading the script of The Amityville Horror (1979). 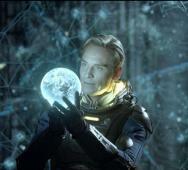 Brolin immediately took the role of George Lutz. Vera Farmiga had creepy claws terrorizing her around the filming of The Conjuring (2013). While filming the Alien (1979) alien chest-bursting scene, the actors were unaware that the scene was going to be like that and they were genuinely scared. Here is a bunch of the best horror movies where everyone dies in the end. From zombies to witches to monsters, the entire cast all die at the end of the film. To think of it, I may sit back this weekend and binge these horror films again this weekend. The video below includes more movies that are not horror related, but I trimmed the movie list down to cater to horror fans and also included the movie details and trailer for each film. Have fun watching them again! 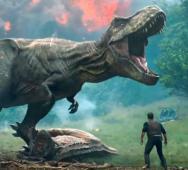 Getting the right publicity to a new movie is crucial to the initial success of the film and these promotion stunts were the best in movie history. The video below features all ten movies and their promotion stunts. Below the video, I cut down the list to include the best horror and sci-fi movie promotion stunts. 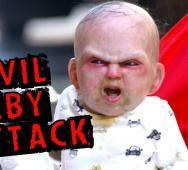 In recent memory, nothing was as funny as the devil baby scare prank promoting Devil’s Due (2014). John Krasinski‘s A Quiet Place (2018) left many elements about the creatures, or what is now confirmed by writer/director John Krasinski as aliens, a mystery but here are some interesting details revealed by John Krasinski and a few theories by the Hybrid Network. This video is under four minutes long and retells what Krasinski shared during the Empire podcast about the aliens and also includes the creature’s idle modes and attack modes explanations. Links to the Empire podcast is found below the video. 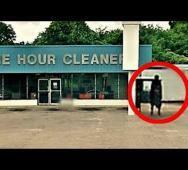 Catching demons on camera and spotting demons in real life is something that grabbed my attention. 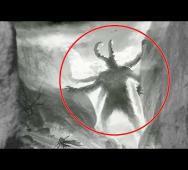 Watch this video as it shows all the demon footage from various video sources. 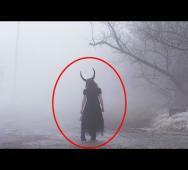 YouTuber MrWolf compiled this list of demons on camera and I will leave it up you to see which ones you believe the most. 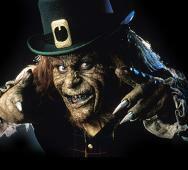 Warwick Davis as the leprechaun was a nice run and even though the Leprechaun series hit some bad times, Leprechaun 3 (1995) is one of the better films especially before the Leprechaun went into the hood and outer space. YouTuber Dead Meat posted this video with many highlights from the Leprechaun 3 (1995) film and at the very end reveals the Leprechaun 3 (1995) kill count. 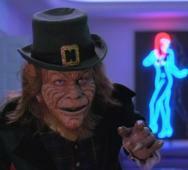 At the very least, this video can serve as a condensed viewing of Leprechaun 3 (1995). I find myself watching horror movies multiple times just to fully understand and catch the hidden details that I may have missed the first few times. Here is a list of the top 10 most paused horror movie moments. 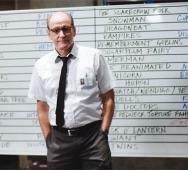 Remeber that scene from The Cabin in the Woods (2012) with all the monsters listed on the whiteboard or the exploding head scene in Scanners (1981)? 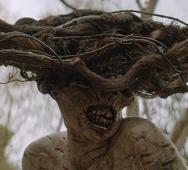 I remember pausing that scene when we finally see the monster from Cloverfield (2008) so briefly. Watch the video below for the full movie clips featuring the most paused horror movie scenes along with the movie details and trailers for each film. Found Footage movies have taken the horror genre to new levels and here are the top 10 most shocking moments in Found Footage movies. This list has a good spread featuring films like The Blair Witch Project (1999), Paranormal Activity (2007), and The Poughkeepsie Tapes (2007). One of the most controversial movies from the older times, Cannibal Holocaust (1980), also gets some shine here and the horror anthologies V/H/S (2012) and V/H/S/2 (2013) too. I was thrilled to see [REC] (2007) also made the list too. Watch the video so you can look at the scenes that are referenced. 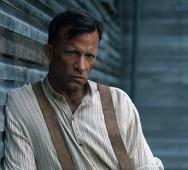 Each film featured on this list is included below the video with movie details and trailers.